Aframomum melegueta is commonly known as Guinea pepper, Melegueta pepper, alligator pepper, Ginny Grains, Ginny Papper, Graines, Greater Cardamom, Grenes, Guinea Grains, Guinea Seeds, Maniguetta, Maniguette, Melaguata, Meligetta Pepper, Paradise Grains and Paradise Nuts. It is a tropical plant of genus Aframomum and belongs to the family Zingiberaceae (ginger family) of the angiosperms in the Kingdom Plantae. Although it is native to West Africa, it is also an important cash crop in the Basketo district of southern Ethiopia. The Pepper Coast (or Grain Coast) is a historical coastal region named after this commodity. It is a spicy edible fruit which is grown in the tropics and often served along with kolanuts and alcoholic drinks to entertain guests. It is popularly used as herbal remedy against a wide range of ailments in folkloric medicine in different parts of the world. Several experimental proofs have shown that alligator pepper may exert antioxidant and antibacterial effects. Grain of Paradise is an herbaceous perennial plant growing about 4-5 ft. (1.2-1.5 m) tall. It is a tropical reed-like plant of the ginger family, related to the cardamom. 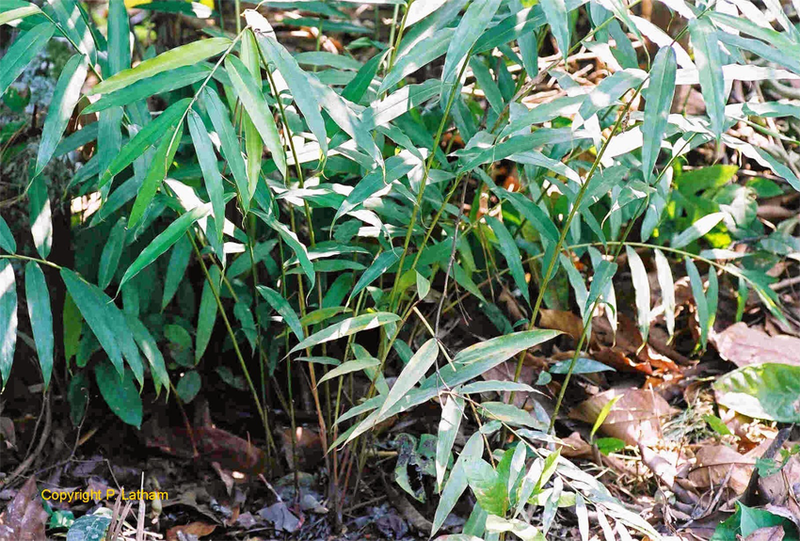 Growing from a rhizome, leaves are narrow, bamboo-like. The average leaves are usually 35 cm in length and 15 cm wide, with a well-structured vascular system. Flowers are trumpet-shaped, orange-colored lip and rich pinkish-orange upper part. These beautiful flowers are followed by reddish-brown wrinkled, fig-shaped dried ovoid capsules, almost 5- to 7-cm long, enclosed in leafy bracts. These capsules (pods) consist of several red to brown angular seeds, in a jelly-like pulp. They are pungent in taste. This peppery taste is caused by aromatic ketones. The flowers and rhizomes have a gingery smell. The seeds can be eaten raw or cooked. These seeds have several medical as well as culinary benefits to them. Because of its peppery taste, they are popular option to season food. 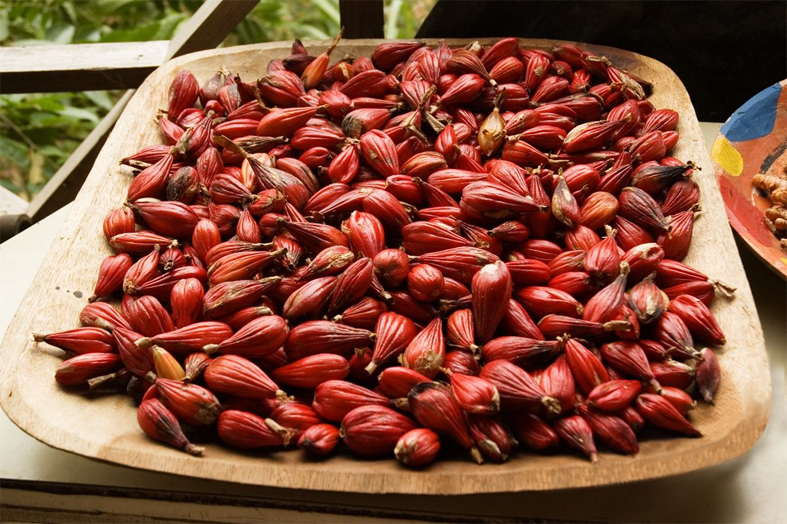 Grains of paradise are native to the coastal areas of Africa’s Gulf of Guinea which includes today’s countries of Liberia, Ivory Coast, Togo, Nigeria and Cameroon where grains of paradise have a long-standing record of ethno-botanical use. Before the spice trade routes from Western Europe to the East Indies were established, a lively trade of grains of paradise, cubeb and long peppers existed. Oceanic travels to the Spice Islands by the Portuguese, Dutch and English in the 17th century diminished the value and importance of grains of paradise in face of competition of black pepper, clove, mace and nutmeg. 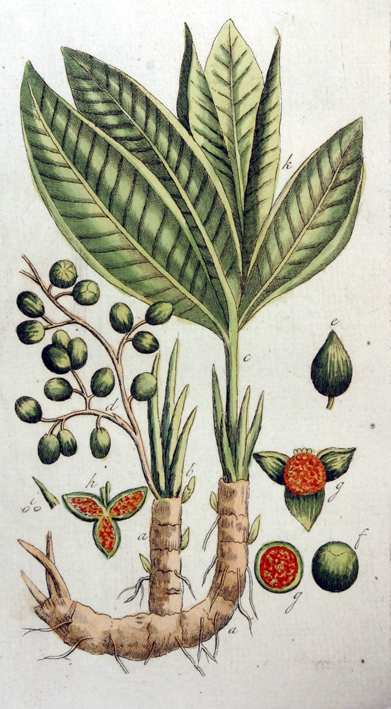 Outside West Africa, grains of paradise are only a minor spice commodity, finding use as a flavoring in alcoholic beverages such as beer, ale and gin. It is an ingredient in ‘raz al hanout’ a Moroccan spice mixture. Seed extract of grain of paradise has antimicrobial properties due to its constituents of phenolic compounds that are normally used as disinfectants. Several scientific researchers have revealed that Aframomum melegueta extract is broad spectrum and has inhibitory effect on the growth of bacteria like Salmonella typhi, Staphylococcus aureus and Klebsiella pneumonia etc. Use it on a daily basis to get benefited. The seeds extracts of the grain of paradise can be used for treating gastrointestinal disorders such as stomach pain, diarrhea, ulcer and intestinal worms. Regular use of this grain is found quite beneficial for dealing with gastrointestinal problems. Seeds are crushed and are used for preparing brews for treating and healing wounds. It consists of high amount of tannin that is distinguished by its stringent property and as such it is very effective for healing wounds, treating burns and calming inflamed mucous membrane. Grain of Paradise seeds are an excellent source of phytonutrients such as terpenoids, alkaloids, flavonoids, tannins, cardiac glycosides, saponin and phenolic compound. They search for free radicals and offer protections against viruses, allergens, microbes, platelet aggregation, tumors, ulcers and hepato toxins in the body. This suggests why it is commonly used in folk medicine for preventing and undertaking intestinal problems. Grain of paradise can be used for preparing herbal remedy for treating infectious skin diseases such as measles, chickenpox and smallpox. Grain of paradise seeds has anti-inflammatory properties due to its constituent of gingerol that prevents the leukotriene and prostaglandins synthesis. Apart from that it offers protection against inflammation of the body. Aqueous extract of the plant is analgesic in nature and can be used for relieving and alleviating pains such as joint pain, toothache, stomach pain, arthritic pain and rheumatoid pain. Use it regularly to get rid from almost all kinds of pains. Regular uses of seeds of grain of paradise help easy digestion of food thus preventing constipation and bloating. Due to its stimulating properties and peppery pungent taste, grain of paradise is normally chewed as a stimulant to keep the body alert. 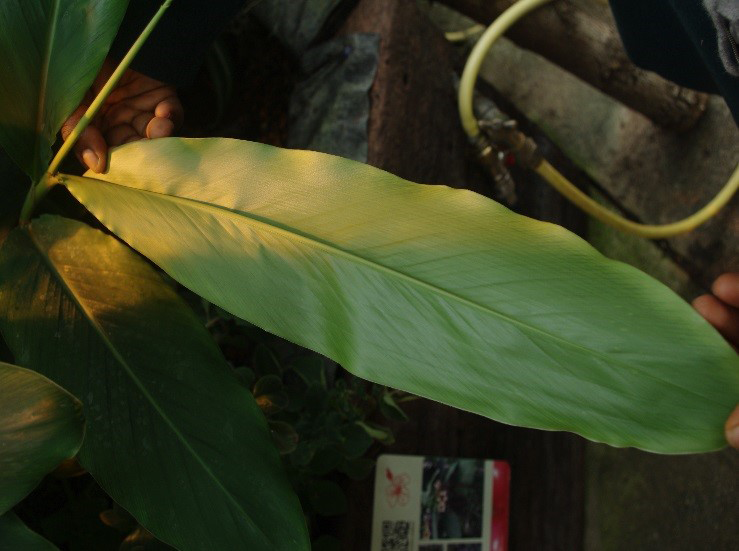 Leaves are used for preparing herbal medicines for preventing and treating malaria. Several researches have revealed that the grain of paradise is aphrodisiac in nature thus can be used for stimulating sexual desires. This herb is considered as a highly effective anti-fungal as well as antimicrobial agent. It helps to increase the production of breast milk. It has anti-parasitic properties and can be used for cleansing and riding the digestive system of any worm infestation. The contents of this herb are also believed to help make the blood purer. 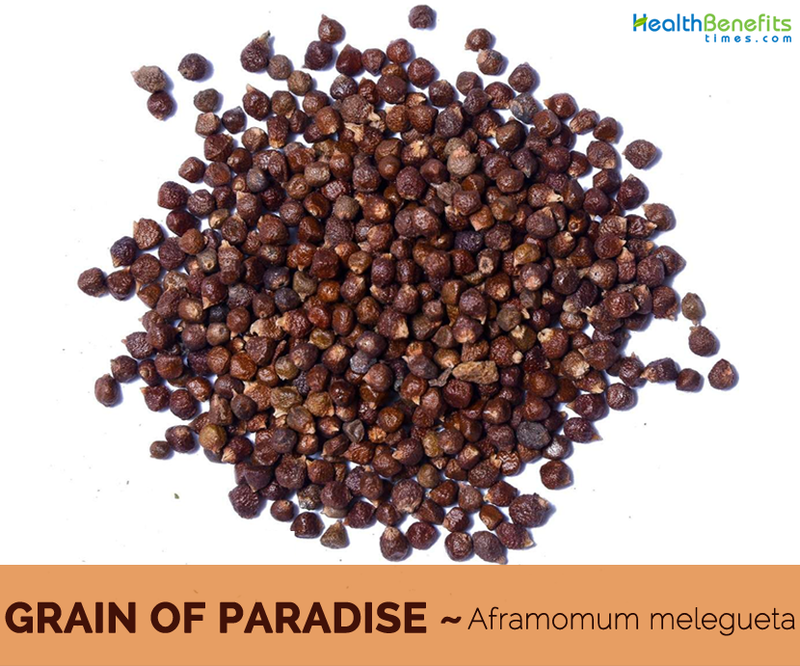 In many African countries, grains of paradise are used for treating measles and leprosy. Hemorrhage that is often related with childbirth may also be dealt with using this herb. It can help with indigestion. Grains of paradise can also help with heartburn. They are also considered as a powerful aphrodisiac. This herbaceous plant has also been found to be effectual in treating the deadly condition known as schistomosiasis. It is known to be effectual in treating intestinal infestations and infections. Some people use this plant’s fruit to cure indigestion and calm heartburn. 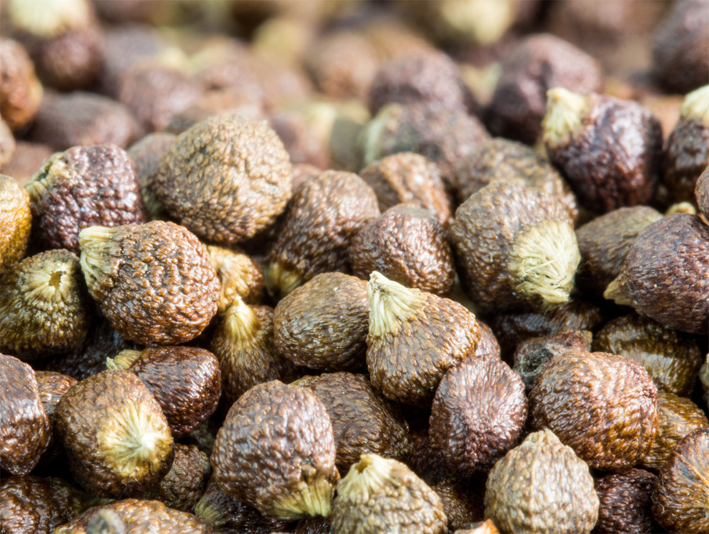 Grains of paradise are recommended for treating intestinal uneasiness, vomiting as well as pain and uneasiness during pregnancy in Chinese herbal medicines. Add them to curries as well as rich sauces to enhance their flavor. They are used in gingerbreads and spice cakes. Crush some seeds and use them in combination with vinegar and garlic to rub the mixture on chicken, lamb or pork prior to roasting. It is use as a flavoring in alcoholic beverages such as beer, ale and gin. 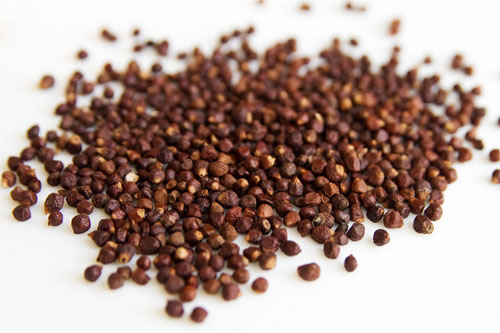 Grains of paradise seeds can easily replace black pepper. They may be chewed to sweeten the breath. Some of the side effects of this herb include Irritation of the stomach, Irritation of the intestine, and Irritation of the urinary system. It is advisable that pregnant and breast-feeding women should stay away from these seeds to be on the safer side or contact a doctor before using them. Appropriate dose of grains of paradise depends on several factors such as the user’s age, health, and several other conditions. At this time there is not enough scientific information to determine an appropriate range of doses for grains of paradise. Keep in mind that natural products are not always necessarily safe and dosages can be important. Be sure to follow relevant directions on product labels and consult your pharmacist or physician or other healthcare professional before using. 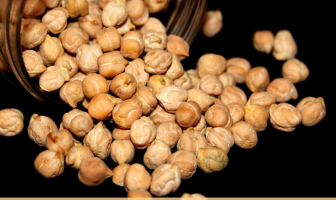 English: Alligator-pepper, Grains of paradise, Guinea-grains, Guinea pepper, Maleguetta-pepper, Melegueta pepper, Meleguetta pepper. French: Graines de paradis, Malaguette, Maniguette, Maniquette, Poivre de Guinée. German: Guineapfeffer, Malagettapfeffer, Meleguetapfeffer, Paradieskörner. Leaf Narrow, bamboo-like. The average leaves are usually 35 cm in length and 15 cm wide, with a well-structured vascular system. Flower Trumpet-shaped, orange-colored lip and rich pinkish-orange upper part. Fruit Shape & Size Wrinkled, fig-shaped dried ovoid capsules, almost 5- to 7-cm long, enclosed in leafy bracts. Seed Color Golden Reddish-brown color and as they mature, their color changes to grey. Alexis grandiflora (Sm.) Salisb., nom. inval. Amomum elatum Salisb., nom. superfl. Amomum melegueta Roscoe, nom. illeg. Amomum melegueta var. violacea Ridl. Torymenes officinalis Salisb., nom. inval.